Courtesy of Jeff Westcott Photography. Tammy Ruby knew she should make some changes. She was overweight, took medication for high blood pressure and diabetes, and had a strong family history of heart disease. But, as she tells Florida's First Coast News, it was losing her 38-year-old brother to a heart attack that finally pushed her into action. "It was time for me to get serious about my own heart health," she tells us. But even though she was motivated, Tammy felt overwhelmed by the changes she felt she needed to make. So she decided to start with "one small step." Literally. "I knew walking would be the easiest first step," Tammy, a medical secretary in Sleep Medicine at Mayo Clinic's Florida campus, tells us. That was eight years ago. Today, Tammy's 50 pounds lighter. She no longer takes medication for high blood pressure or diabetes. She's walked a half marathon and has added strength training and other forms of cardio to her six-day-a-week exercise habit. And last week, she shared the story of how she got from there to here during an appearance on First Coast News to promote National Walking Day. During the segment, she joined Vandana Bhide, M.D., an internal medicine specialist at Mayo Clinic, to talk about the many benefits of hitting the pavement, from lowering blood pressure and blood sugar levels to losing weight and improving your mood. Tammy tells us she noticed those benefits right away. If she walked close to bedtime, she says, she "would sleep great and wake up more energetic and clear headed." Walking earlier in the evening left her with "more energy to get things done," she says. "I really did notice with activity how much clearer your mind feels." (We should probably try that.) Tammy also found she had more energy for her hobbies, including singing. 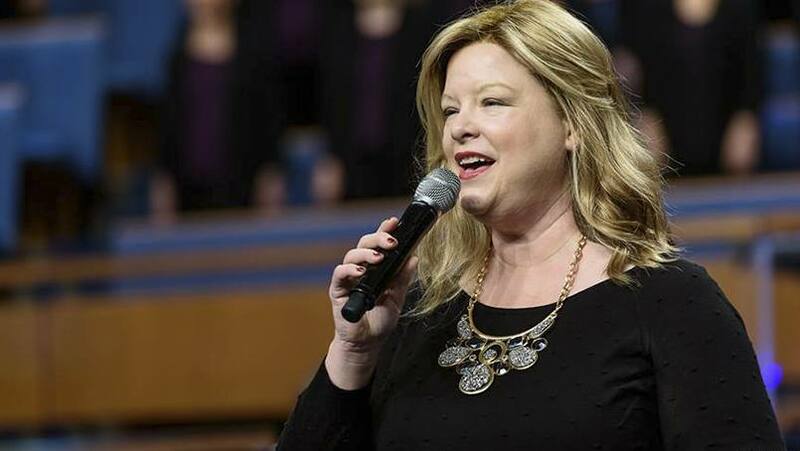 Though she'd been in her church choir for many years, exercising and losing weight has allowed her to take on new roles — including singing in the Jacksonville Passion Play and helping lead worship services. "I would have never had the stamina" for either before, she tells us. Now step right up to share your comment below and share this story with others using the handy social media tools. .